There is not only a need to induct professionals in the ministries, but it is equally important that they are given the space to express their views on files and in meetings. The government’s decision to invite applications for 10 joint secretary-level posts in several ministries has energised the discussion about the benefits of lateral entry into senior bureaucracy. Some fear that the selection of candidates will be influenced by their ideology. What, however, is missing in the debate is if the political executive is making full use of the professional advice available to it on contentious issues. 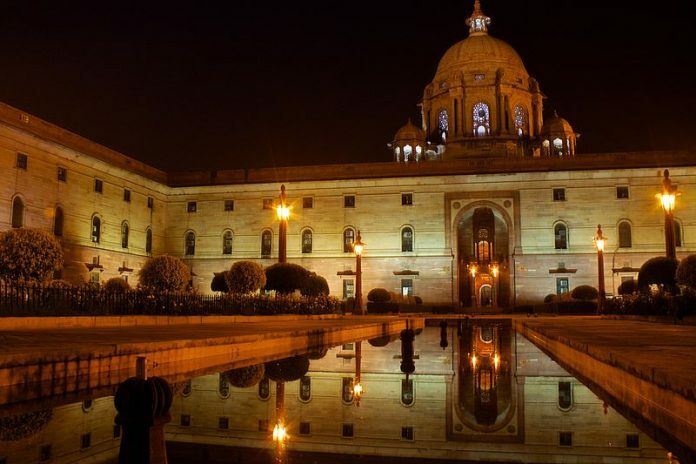 In the hierarchy of ministries, a joint secretary (JS) has to report to additional secretary, secretary, minister of state, and cabinet minister. A JS heads the division, and is assisted by director, deputy secretary, under secretary, and section officer, who are all generalists and move from ministry to ministry every few years. Very few notes on the files in the ministries are actually initiated by the joint secretary herself. About a quarter of officers’ time goes in serving Parliament and its various committees. During Parliament sessions, most officers have to devote one-third to half of their time in preparing replies to questions. When Parliament is not in session, they have to prepare replies to various committees of Parliament. So a JS, whether from the civil services or a professional selected through lateral entry, will also have to perform this work, which is primarily about defending actions taken in the past by the government. Will it be the best use of professionals coming through lateral entry? In every ministry, there are several divisions. Some large ministries like home, defence, agriculture may have about 16-20 JS or equivalent officers. In agriculture ministry, for example, the entire department of agricultural research is manned by professionals and there is no ‘bureaucrat’ there except the financial adviser. The government has not gone ahead with the advice of scientists of ICAR/DARE and Genetic Engineering Appraisal Committee for introduction of genetically modified mustard. In the department of agriculture, cooperation and farmers welfare, there is a principal adviser at secretary rank. Then, there is an economic and statistical adviser from the Indian Economic Service at additional secretary rank. Does our system give them the freedom to offer professional advice, without fear? For example, can anyone write on a file that the decision to uniformly fix MSP at 50 per cent over A2 plus FL costs could be highly distorting? The point is that there is not only a need to induct professionals in the ministries, but it is equally important that they are given the space to express their views on files and in meetings. In large ministries, there are several divisions, which require specialisation in an area, and civil servants do not have any exposure to such matters. For example, negotiations at the World Trade Organization (WTO) require a level of knowledge and expertise, which may not be there in the government. It is in such positions that we need experts from outside, who can be of enormous utility to the system. Therefore, it would have been a better idea to identify such posts in advance and then select the best specialists available. Last, it is not quite appropriate that selection committees are headed by cabinet secretary. Although, members of UPSC are themselves nominated by the government of the day and there is no transparency in their selection, yet it carries high reputation for objectivity. It would have been better to assign the selection to UPSC. However, what can one say when even the committee to select deputy governors is headed by cabinet secretary, and not by the RBI governor. I have prismatic view of every branch of governance & the wrecking sharks with uncanny insight. Retain me, I am incredible panacea. Siraj Hussain sahab has expressed his views very candidly. The green note sheet in every file in every government office, is meant to record the decision making process about any issues under consideration. Officers should be enboldened to express their true views on the green sheet, so that a considered view can help appropriate decison making in the Ministries. Monopoly is an inefficient mechanism, as stated in a number economic texts. What happened in the Indian bureucracy is monopolisation of top eheleons by IAS. Personnel from other servives are badly needed at JS and above levels to allow matured and techinically sound decision making.